2016 Picture Day Schedule *- Baseball and Softball team schedules for BBC Picture Day, April 16. Schedule is shown in 3 different views: By Division By Time By Manager NOTE that the picture time for each team is shown in the far right column. Amazon Smile Instructions *- Instructions on how to use Smile.Amazon.com to support Branchburg Baseball Club. 2015 BBC Day at Somerset Patriots Ticket Order Form *- Order form for tickets to BBC Day at Somerset Patriots. 2014 Committee Structure *- Description of the committees, positions, and responsibilities the 2014 BBC Board of Directors will implement for the benefit of the organization. Code of Conduct *- Managers & Coaches must sign and give to their League Commissioner. 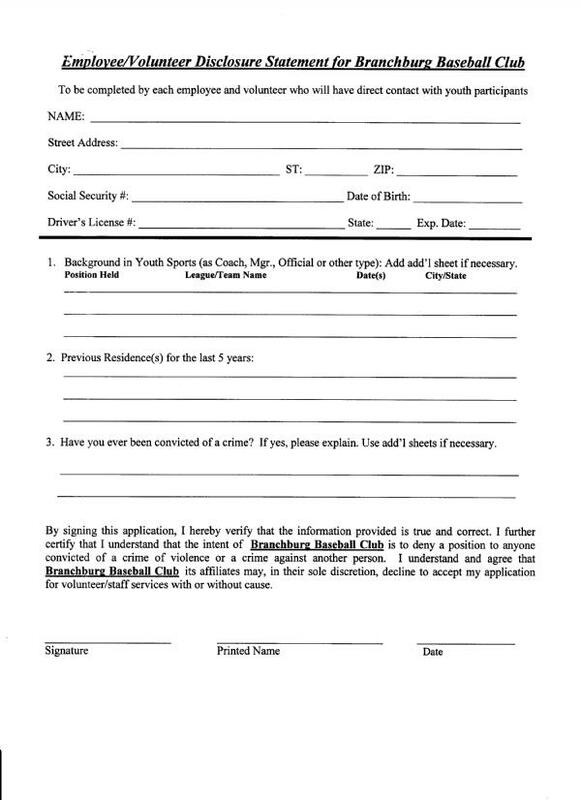 Employee / Volunteer Disclosure Form- As required by our insurance carrier, all managers and coaches are required to complete this form and return it to your league commissioner before the start of the season. Meeting Minutes: 10/16/2013 Membership Meeting *- APPROVED Meeting Minutes from the 10/16/2013 membership meeting. 2014 BBC Photo Day Schedule *- Baseball and Softball team schedule for 15-minute timeslots for team and individual photographs on May 10, 2014. 2014 BBC Snack Shak Schedule *- Alphabetical listing (by family last name) of the dates/times for all In-Town Snack Shak commitments. NOTE THAT NEW FAMILIES HAVE BEEN ADDED TO THE END OF THE SCHEDULE. 2014 Travel Uniforms & Spirit Wear Order Forms- Use this file to create your travel uniform and spirit wear orders. Print each form and bring them with you to the sizing session. 2014 Travel Tryout Information *- Complete description of the process and schedule for 2014 BBC Summer Travel Baseball tryouts. Travel Manager Application *- Questionnaire to be completed by those who would like to be considered as Travel Managers for the 2014 BBC Travel season. Travel Player Evaluation Criteria -- Diamond Nation *- List of the categories and skills the evaluators at Diamond Nation will employ to rank players for each BBC Travel team. Pre-Tryout Workouts *- Workouts available at BSC for players who will try out for 2014 travel teams. To be presented by Bob Ebner. 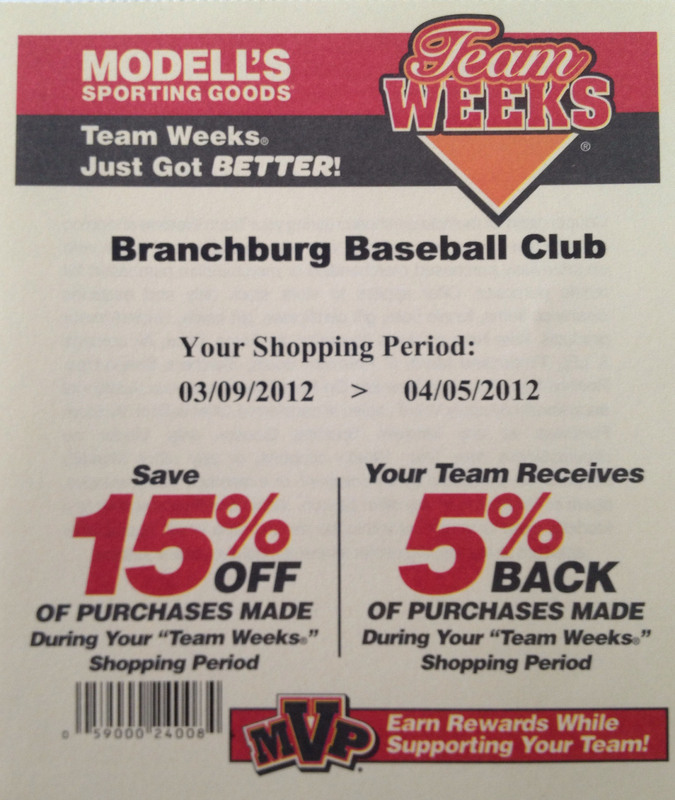 2013 Sponsorship Form- The Branchburg Baseball Club invites you to advertise your business through your sponsorship, or support the program through a tax-deductible donation in order to provide prizes, equipment, or uniforms for the kids. 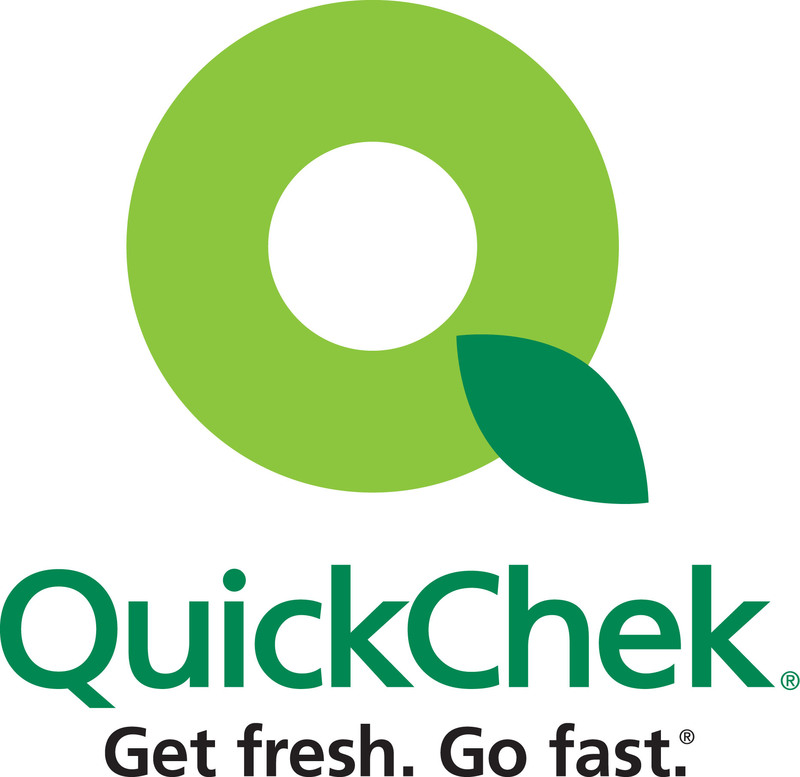 Sponsorship from community business, and individuals, enable us to provide a quality baseball program for the children of Branchburg. Supporting Branchburg Baseball means over 700 children will have the opportunity to play over a 1000 games from April through October. 2012 Modells Coupon- Use this coupon to get 15% off purchases and the club gets 5% back. If you forget your coupon, just tell the person working the register to look it up in the book so you can get the discount. 2012 BBC PONY League Rules- For our PONY league, players aged 13-16.